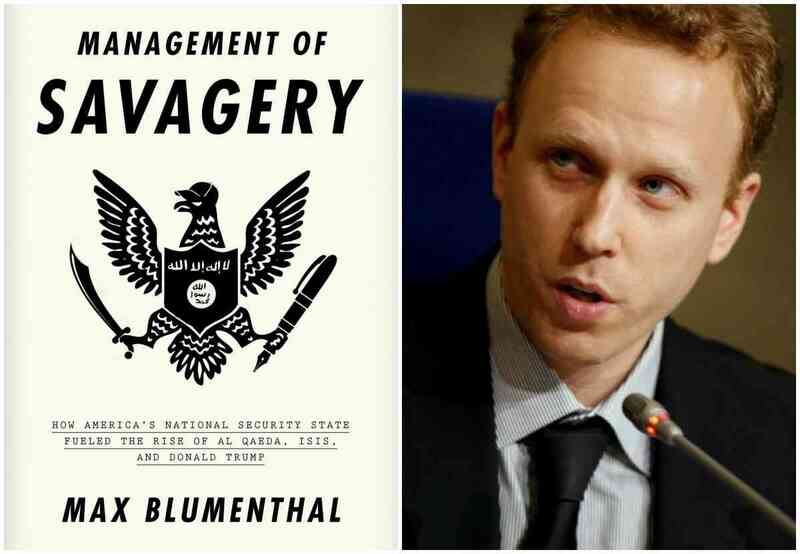 A reading and discussion with Max Blumenthal, author of The Management of Savagery: How America's National Security State Fueled the Rise of Al Qaeda, ISIS, and Donald Trump. A Q&A and signing will follow the event. About the Book: The Management of Savagery excavates the hidden history of international jihadism and Western ultra-nationalism. Since Washington’s covert support for the Afghan Mujahedin following the Russian invasion of Afghanistan in the 1970s, America has supported Islamist extremists with funding and military hardware, giving rise to bin Laden’s Al Qaeda network. The CIA’s collusion with jihadists abroad has seen the war coming home with inevitable consequences: by training and arming of jihadist elements in Afghanistan, Syria and Libya since the Cold War and waging wars of regime change and interventions that gave birth to the Islamic State. Meanwhile, Trump’s dealings in the Middle East are likely only to exacerbate the crisis further. Blumenthal exposes how an American foreign policy that has destabilised the Middle East has brought a refugee crisis onto Europe’s shores, paving way for far-right electoral victories and inspiring Trump’s extremist constituency across the Atlantic. Blumenthal’s book is a damning indictment of the bipartisan national security consensus and warning of its present danger to democracy. About the Author: Max Blumenthal is an award-winning journalist and best-selling author whose articles and video documentaries have appeared in New York Times, Daily Beast, Guardian, Huffington Post, Salon, Al Jazeera English and many other publications. He is the author of Goliath: Life and Loathing in Greater Israel and Republican Gomorrah: Inside The Movement That Shattered the Party.